A few friends of mine are pinning their hopes on literary agents and traditional publishing contracts. Independent publishing is not for everyone so I don’t try hard to dissuade them. Traditional publishing is not for me, but people have their reasons. No need to rehash the why. Let’s delve deeper into building a better how. If you go hunting for a contract with an agent or publisher, know the game and the real odds. Many people call themselves agents. They are not all equal. Research them so you don’t waste time sending book proposals to people who do not have the connections and talents you require. If you find the right person, make sure your work fits their submission guidelines. Check out the agent’s social media presence. How do they talk about writers they reject? Is snark their brand? If they are obnoxious to those they turn away, they’ll eventually be obnoxious to you. Is that someone with whom you want to be tied in a business relationship? Professionalism should be expected on both sides of the desk. Contrary to popular belief, you can still approach many publishers directly. Many editors would rather you didn’t do that. However, behind closed doors, some will admit they often check everything that is sent their way. To make that work, you’ll have to do deeper research on the editor and their work history. Your best bet is to be recommended by an author with whom they already work. Sidle up to targets rather than attempt a clumsy full frontal attack. Expect delays. No matter who you send your work to, you’ll be waiting a long time for a response. Since you’ll be doing most of the ongoing selling and publicity of your work, are you still sure you want that publishing contract? You might make much more money going on your own. In fact, according to Author Earnings reports and the number 70%, the way to bet is on yourself. A rejection from an agent that details manuscript problems may be useful. Often, rejections do not detail the why of your sorrow. You might have received the same or better feedback from a freelance editor, beta reader or reviewer. There is no practical benefit in building a pile of reject letters as the years pass in the name of “skin thickening.” Your skin is probably about as thick or thin as it will ever be. Rejection isn’t training you to be a better writer (though, sadly, you may be convinced erroneously to give up.) Don’t fall for the “pay your dues” thing. “Pay your dues,” usually means, “No.” It often doesn’t mean more than that. Sometimes psychopaths use those three words to get work out of young people for free. Avoid. Whether you’ve submitted to an agency or publisher, the person who pushes your proposal forward or rejects it is often an intern or other inexperienced person. Youth and inexperience doesn’t make their evaluation wrong necessarily. I worked the slush pile when I was young and inexperienced, too. In the year I worked at Harlequin, I found one manuscript for the publisher and one manuscript that was good but paid no attention to the publisher’s guidelines and druthers. Pay attention to druthers. Despite the enormous size of the slush pile, it is often remarkably easy to reject unsolicited submissions because so many writers didn’t pay attention to the expectations of the genre, the publisher or the English language. The closest analogy to getting a trad pub deal is the lottery. Even smaller publishers receive a staggering number of manuscripts and they’ll only pluck one or two new writers each year, if that. Agents can’t handle an infinite number of writers. You may be waiting for their established writers to die in order to get picked up. People do win the lottery, but if we were better at math we probably wouldn’t spend so much money on those tickets. We’d invest in ourselves instead. If you’re going to play this game, know the odds and never stake your entire writing career on only one book. Agents and publishers prefer authors who have dozens of profitable books in them for years to come, not one precious gem. I’m not trying to be cynical. There are good agents out there, but please do see the business as it is, not how you wish it. It is art and commerce. When both elements come together it can be a beautiful collaboration. Beautiful collaborations are rare in publishing. BONUS 1: If I wanted a trad deal, I’d probably look to my old connections in the book industry first. When that failed, I’d delete one set of gatekeepers and send proposals to editors and publishers directly. Or I’d find a rabbi in the business, like an older author who could give guidance or guide their editor my way. If accepted, I’d contact an entertainment lawyer (AKA intellectual property lawyer.) You pay your agent forever. You pay a lawyer once. BONUS 2: Authors sometimes speak about “choosing” to go with an agent. That’s the ideal dynamic. It should be a business arrangement where you are partnering with someone in the know. However, it’s so difficult to get an agent, that’s not how it usually works. Typically, a writer gets an email out of the ether saying, “I’d like to represent you.” The writer says yes without reading the contract. Read the contract. Please read the damn contract. Don’t go hat in hand and, for the love of Thor, have some goddamn dignity. Don’t be too eager to celebrate too soon. These waters are shark infested. Stop swimming in a bathing suit made of bloody meat. 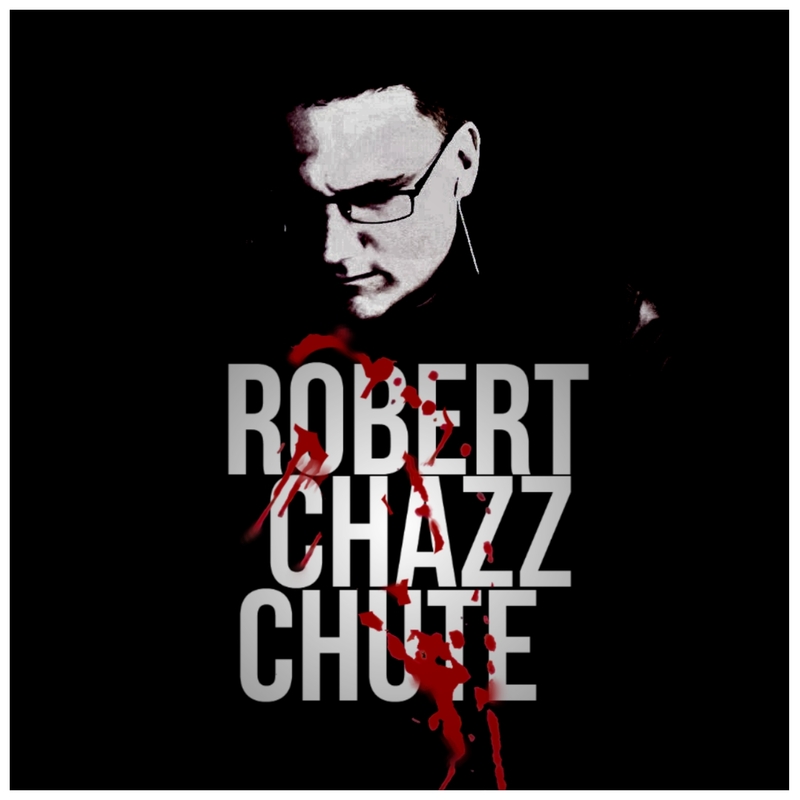 ~ Robert Chazz Chute writes stuff. Suspenseful stuff. Crime and horror and sci-fi, oh my! He finds the occasional use of sentence fragments winsome. Chazz also enjoys talking about himself in the third person while chewing on writerly thoughts. He sleeps naked and thinks out loud nakedly. Check out his non-naked author site at AllThatChazz.com. My latest book, Wallflower is a time travel novel about a suicidal comedian saving the world (with Kurt Vonnegut’s help.) Yes. You read that right. Now go check it out here. Expect jokes and snappy dialogue. The secrets of the universe shall be unveiled. Hint: the universe is pretty fucked up. KKRusch’s last piece of advice will probably be the hardest to follow though: walk away. If they contract is take take take with precious little give, walk away. p.s. Is that the cover of a new book I see before me?? Ha! Yes, it is, indeed! I know you liked This Plague of Days. If you haven’t read Robot Planet, The Complete Series yet, I think you’ll double dig what I’m slingin’ with that one. I ended up with a list of twenty-something agents that I was reasonably sure were legit, in business, and would not rule out my manuscript out of hand. I sent out queries, and never got a single response. From my handpicked list of the ones I considered the best prospects, I got no responses at all. Not “Yes”, not “No”, not nothin’. Yep! Thanks for sharing your experience. It’s an example of how we can do everything right but it can still turn out wrong. The no reply issue is probably an aspect of the game that’s gotten worse since email. Easier access increased the deluge so ignoring submissions is their answer. I’m actually not entirely unsympathetic to that, except it keeps people waiting and wondering: Have I waited long enough and should I move on? When you say no to someone, you’ve entered a conversation you don’t want to have. Some writers take any answer as an invitation to further engagement. It’s a bit tricky in that way. A quick no thanks would be simple and professional. It should also be added, writers shouldn’t demand explanations for why they were turned down. Some don’t get the etiquette of the exchange. When they make that mistake, they are essentially asking the agent to work for free. The thing is not to take it personally. Some agents (and some publishers) say explicitly on their websites that no response after X days should be considered a “no”. I tend to assume that for everyone–if I don’t hear back after 90 days I mark them off the list and move on. I only do a follow up if someone has expressed an interest in a personal e-mail, and then only after twice the time they estimated for a more in-depth reply has passed. Chasing after someone is never a good idea in business.